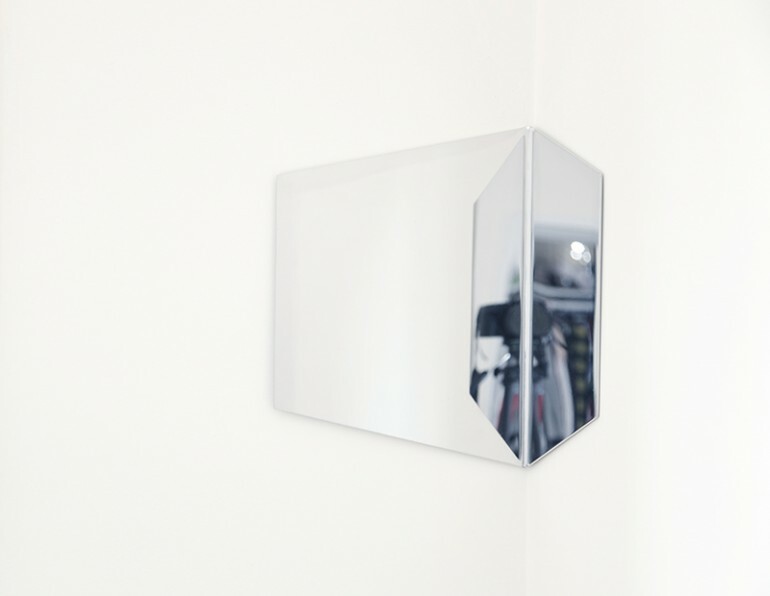 Hex is a corner mirror made of polished stainless steel. Reflections are trimmed and framed by hexagonal contour while folded mirror connects to a dynamic vision through eyes of the observer. As looking into the corner of mirror, reversed and double-reversed images consist a world of real and fake.